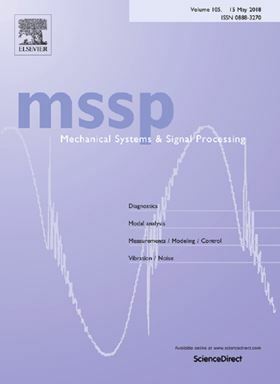 The research article 'External gear pumps operating with non-Newtonian fluids: Modelling and experimental validation' has been published in Elsevier journal Mechanical Systems and Signal Processing. External gear pumps are used in various industries to pump non-Newtonian viscoelastic fluids like plastics, paints, inks, etc. For both design and analysis purposes, it is often a matter of interest to understand the features of the displacing action realized by meshing of the gears and the description of the behavior of the leakages for this kind of pumps. However, very limited work can be found in literature about methodologies suitable to model such phenomena. This article describes the technique of modelling external gear pumps that operate with non-Newtonian fluids. In particular, it explains how the displacing action of the unit can be modelled using a lumped parameter approach which involves dividing fluid domain into several control volumes and internal flow connections. This work is built upon the HYGESim simulation tool, conceived by the authors’ research team in the last decade, which is for the first time extended for the simulation of non-Newtonian fluids. The article also describes several comparisons between simulation results and experimental data obtained from numerous experiments performed for validation of the presented methodology. Finally, operation of external gear pump with fluids having different viscosity characteristics is discussed. Read the full text on ScienceDirect. Performance of a new cascaded compression-absorption heat pump is compared with that of compression, absorption and hybrid heat pumps. Failures of centrifugal pumps in a cooling system of diesel power plant were investigated.